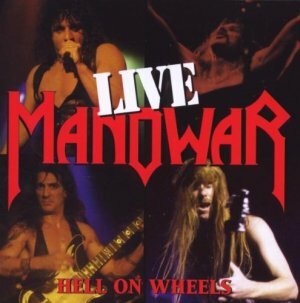 MANOWAR - HELL ON WHEELS (2CD) | Online Shop | Wizard LTD. Album: "HELL ON WHEELS (2CD)"
"Hell On Wheels Live" offers excellent sound quality on two discs and an authentic sounding live recording, of some of the most powerful songs of the worlds best heavy metal band of all time. Recorded during the "Hell On Wheels" Tour in 1997, it is compared to other milestones in live recordings such as Deep Purple&apos;s "Made In Japan", The Who&apos;s "Live At Leeds" and Led Zeppelin&apos;s "The Song Remains The Same".